We changed together when we changed tire of motorcycle. As rim band is expendable, cospa is saved well, too. This review is about item#38162677. This review is about item#38162731. It is a must for old cars of tube type. It can be used without problems. The price is cheap and it is good to use normally. Above all, there is a sense of security called Bridgestone. The price is very cheap. It is exhausted. Is no problem. This review is about item#38162616. When I opened the package of MC rim band, I was interested in the accuracy of rubber valve hole and band width cut. 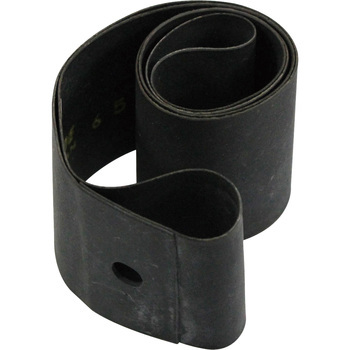 BS's rim band is a consumable item, but for tube protection It is a product that you can use with confidence. I repeat several times, but I like BS products. Although I changed the rim for about 2 years, the place of rubber became bushwasa and replaced and the width was 18 mm. It worked smoothly. I used it for the Suzuki K90. It is easy to install due to the tightness of just plain salt plum. Because the tube hurts at the head of the spoke, I am thinking at the same time when changing the tube. If you tighten the nut of the air inlet too much, the circumference of the rim band hole will be broken, so it is carefully over tightened. I used it for the maintenance of the motorcycle. It is a sufficient item. I bought it with the tube around Michelin tires for Super Cub. Since the tube and the rim band have not been exchanged for more than 30 years, I tried to exchange together and purchased it. There is a thing called Bridgestone of a maker item, and it is prompt decision. With this, I can ride with confidence for the time being. I was able to install & use without problems. I am running in good condition. This review is about item#38162722. I'm satisfied. Bother to deliver the bough, only to put in the box, even though it gets deliberately · · · Thank you for being deliciously delivered, but if it is delivered collectively from all the items, you should devise ○ ○ yen discount etc. How is that? Because it is reliable Bridgestone, it can be used with confidence. Also, it is cheap and saved. I would like to use it in the future. I exchanged the rear tire of a turnip. Simultaneous purchase of tubes and rim bands. I could install without problems. Satisfied.